The United States remains committed to its efforts in support of the ultimate global elimination of nuclear, biological, and chemical weapons. It has negotiated multiple arms control treaties and has fully abided by its treaty commitments. In addition, for over two decades the United States has deployed no new nuclear capabilities, advanced nuclear reduction and non-proliferation initiatives to Russia and others, and strengthened alliance commitments and capabilities to safeguard international order and prevent further proliferation of nuclear weapons. Nevertheless, global threat conditions have worsened markedly since the most recent, 2010 NPR. There now exist an unprecedented range and mix of threats, including major conventional, chemical, biological, nuclear, space, and cyber threats, and violent non- state actors. International relations are volatile. Russia and China are contesting the international norms and order we have worked with our allies, partners, and members of the international community to build and sustain. Some regions are marked by persistent disorder that appears likely to continue and possibly intensify. These developments have produced increased uncertainty and risk, demanding a renewed seriousness of purpose in deterring threats and assuring allies and partners. weapons and missile capabilities in direct violation of United Nations (U.N.) Security Council resolutions. Russia and North Korea have increased the salience of nuclear forces in their strategies and plans and have engaged in increasingly explicit nuclear threats. Along with China, they have also engaged in increasingly aggressive behavior in outer space and cyber space. As a result, the 2018 NPR assesses recent nuclear policies and requirements that were established amid a more benign nuclear environment and more amicable Great Power relations. It focuses on identifying the nuclear policies, strategy, and corresponding capabilities needed to protect America, its allies, and partners in a deteriorating threat environment. 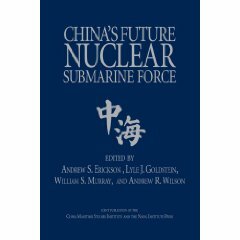 It is strategy driven and provides guidance for the nuclear force structure and policy requirements needed now and in the future to maintain peace and stability in a rapidly shifting environment with significant future uncertainty. The current threat environment and future uncertainties now necessitate a national commitment to maintain modern and effective nuclear forces, as well as the infrastructure needed to support them. Consequently, the United States has initiated a series of programs to sustain and replace existing nuclear capabilities before they reach the end of their service lives. These programs are critical to preserving our ability to deter threats to the Nation. Since 2010 we have seen the return of Great Power competition. To varying degrees, Russia and China have made clear they seek to substantially revise the post-Cold War international order and norms of behavior. Russia has demonstrated its willingness to use force to alter the map of Europe and impose its will on its neighbors, backed by implicit and explicit nuclear first-use threats. Russia is in violation of its international legal and political commitments that directly affect the security of others, including the 1987 Intermediate-Range Nuclear Forces (INF) Treaty, the 2002 Open Skies Treaty, and the 1991 Presidential Nuclear Initiatives. Its occupation of Crimea and direct support for Russia-led forces in Eastern Ukraine violate its commitment to respect the territorial integrity of Ukraine that they made in the 1994 Budapest Memorandum. China meanwhile has rejected the ruling of the… Arbitration Tribunal that found China’s maritime claims in the South China Sea to be without merit and some of its related activities illegal under the U.N. Convention on the Law of the Sea and customary international law. 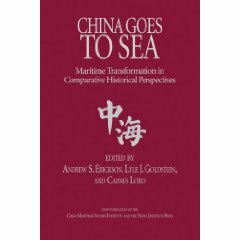 Subsequently, China has continued to undertake assertive military initiatives to create “facts on the ground” in support of its territorial claims over features in the East and South China Seas. Russia and China are pursuing asymmetric ways and means to counter U.S. conventional capabilities, thereby increasing the risk of miscalculation and the potential for military confrontation with the United States, its allies, and partners. Both countries are developing counter-space military capabilities to deny the United States the ability to conduct space- based intelligence, surveillance, and reconnaissance (ISR); nuclear command, control, and communications (NC3); and positioning, navigation, and timing. Both seek to develop offensive cyberspace capabilities to deter, disrupt, or defeat U.S. forces dependent on computer networks. Both are fielding an array of anti-access area denial (A2/AD) capabilities and underground facilities to counter U.S. precision conventional strike capabilities and to raise the cost for the United States to reinforce its European and Asian allies and partners. While nuclear weapons play a deterrent role in both Russian and Chinese strategy, Russia may also rely on threats of limited nuclear first use, or actual first use, to coerce us, our allies, and partners into terminating a conflict on terms favorable to Russia. Moscow apparently believes that the United States is unwilling to respond to Russian employment of tactical nuclear weapons with strategic nuclear weapons. The United States does not wish to regard either Russia or China as an adversary and seeks stable relations with both. We continue to seek a dialogue with China to enhance our understanding of our respective nuclear policies, doctrine, and capabilities; to improve transparency; and to help manage the risks of miscalculation and misperception. The United States and Russia have in the past maintained strategic dialogues to manage nuclear competition and nuclear risks. Given Russian actions, including its occupation of Crimea, this constructive engagement has declined substantially. The United States looks forward to a new day when Russia engages with the United States, its allies, and partners transparently and constructively, without aggressive actions and coercive nuclear threats. 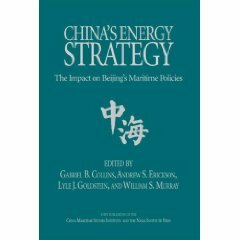 Nevertheless, this review candidly addresses the challenges posed by Russian, Chinese, and other states’ strategic policies, programs, and capabilities, particularly nuclear, and the flexible, adaptable, and resilient U.S. nuclear capabilities required to protect the United States, allies and partners. nuclear-armed adversaries in several parts of the world and the potential for adversary nuclear escalation in crises or conflict. Figure 1 illustrates the marked difference between U.S. efforts to reduce the salience of nuclear weapons and the contrary actions of others over the past decade. strategic intercontinental ballistic missile (ICBM), a new multi-warhead version of its DF-5 silo-based ICBM, and its most advanced ballistic missile submarine armed with new submarine-launched ballistic missiles (SLBM). It has also announced development of a new nuclear-capable strategic bomber, giving China a nuclear triad. China has also deployed a nuclear-capable precision guided DF-26 intermediate-range ballistic missile capable of attacking land and naval targets. As with Russia, despite criticizing U.S. homeland missile defense—which is directed against limited missile threats—China has announced that it is testing a new mid-course missile defense system, plans to develop sea-based mid-course ballistic missile defense, and is developing theater ballistic missile defense systems, but has provided few details. China’s military modernization and pursuit of regional dominance have emerged as a major challenge to U.S. interests in Asia. It has adopted an increasingly assertive posture in disputes with its neighbors, many of whom are U.S. allies or partners. These encompass a variety of historical and border disputes, including over territorial boundaries, claims to contested island territory, and an island-building campaign in the South China Sea. China possesses nuclear warheads on protected ICBMs and SLBMs capable of reaching the United States and nuclear-armed, theater-range ballistic missiles capable of reaching U.S. territory, allies, partners, forces, and bases in the region. China’s expanding non-nuclear military capabilities include space and cyber warfare capabilities that could decisively affect the outcome of a conflict. 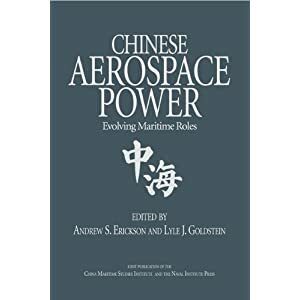 China is developing capabilities to counter U.S. power projection operations in the region and to deny the United States the capability and freedom of action to protect U.S., allied, and partner interests. Direct military conflict between China and the United States would have the potential for nuclear escalation. Our tailored strategy for China is designed to prevent Beijing from mistakenly concluding that it could secure an advantage through the limited use of its theater nuclear capabilities or that any use of nuclear weapons, however limited, is acceptable. The United States will maintain the capability to credibly threaten intolerable damage as Chinese leaders calculate costs and benefits, such that the costs incurred as a result of Chinese nuclear employment, at any level of escalation, would vastly outweigh any benefit. The United States is prepared to respond decisively to Chinese non-nuclear or nuclear aggression. U.S. exercises in the Asia-Pacific region, among other objectives, demonstrate this preparedness, as will increasing the range of graduated nuclear response options available to the President. Both steps will strengthen the credibility of our deterrence strategy and improve our capability to respond effectively to Chinese limited nuclear use if deterrence were to fail. The United States will also continue to seek a meaningful dialogue with China on our respective nuclear policies, doctrine, and capabilities in pursuit of a peaceful security environment and stable relations.